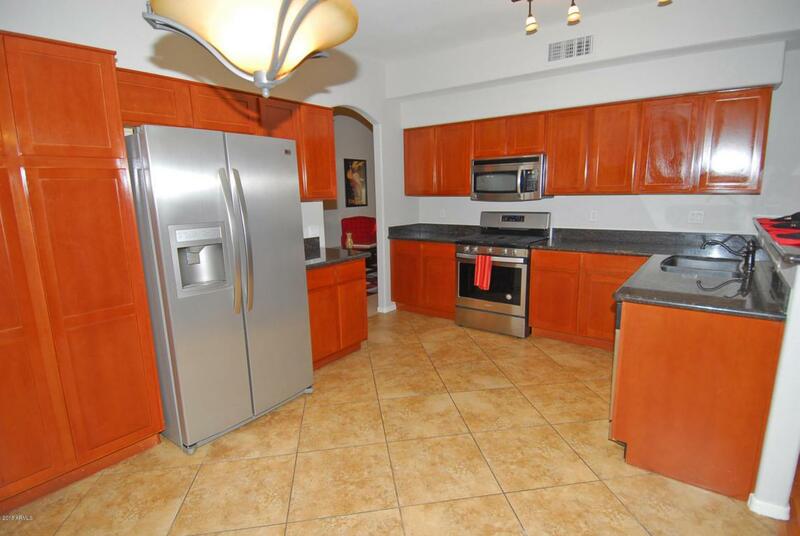 Fabulous 5BR, 3 full bath home with sparkling pool, 2247SF, 3C garage, 2 openers & built in cabinets. 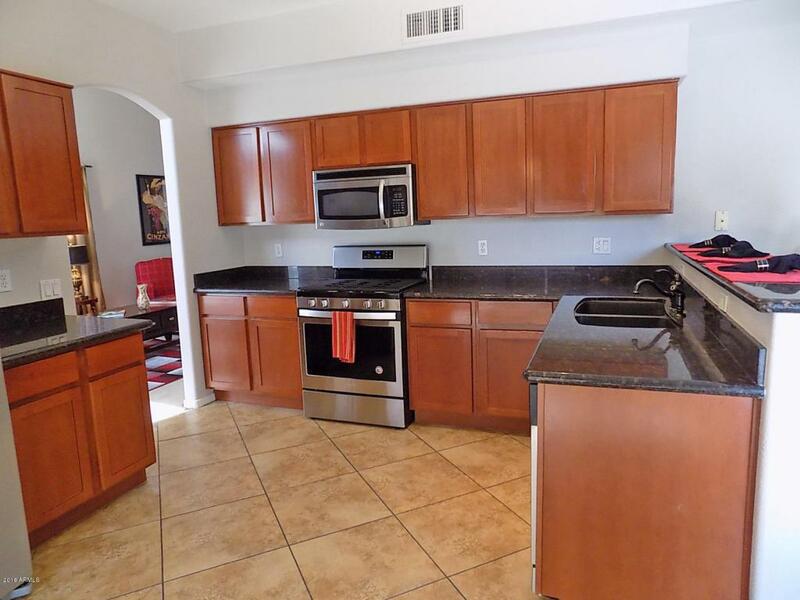 Cook will love the updated kitchen w/granite counters, newer cabinets, built in micro & stainless steel appliances. New interior paint & gas stove July 2018. Double sinks & separate tub/shower in master bath. Bedroom & full bath on 1st floor, cozy gas fireplace, inside laundry, huge 20x11 bedroom upstairs, ceiling fans & window coverings thruout. Ceramic tile baths & laundry, Pergo in cathedral entry, walkways & staircase. Fully landscaped, covered patio + storage shed. 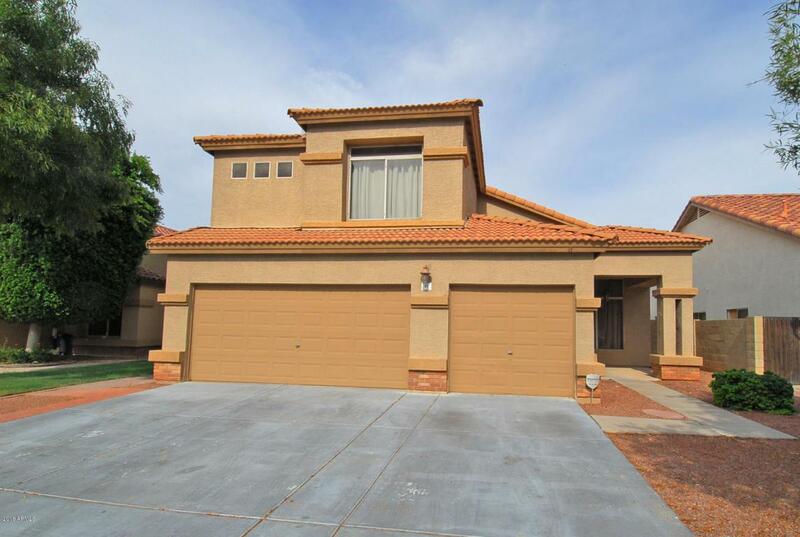 Walking distance to Mesquite Elementary & Gilbert High. 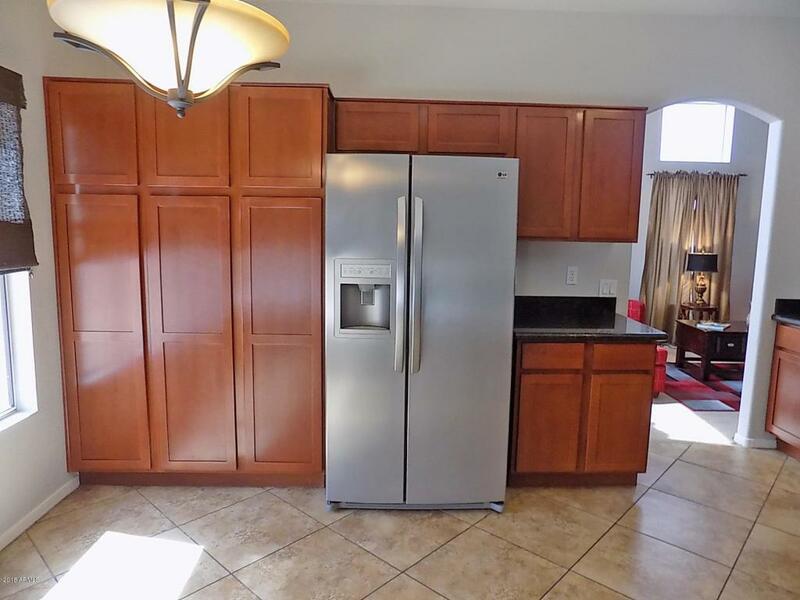 Around the corner from Freestone Park w/Sports Courts, Miniature Railroad & Walking trails & Gilbert's trendy downtown Restaurants & Entertainment. Welcome home! Listing courtesy of 1st Southwest Realty, Llc.